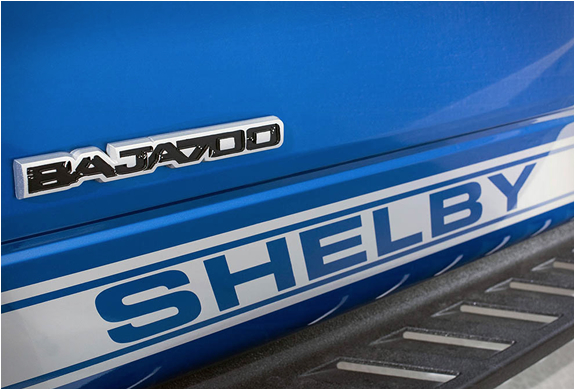 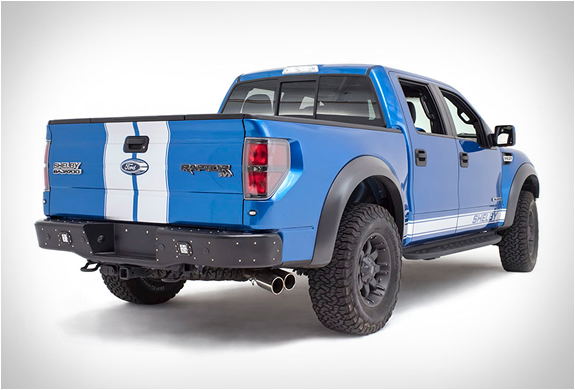 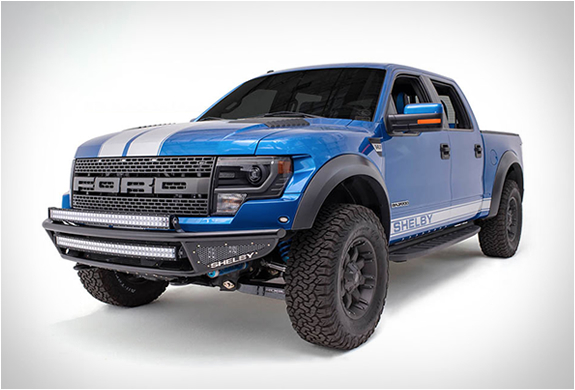 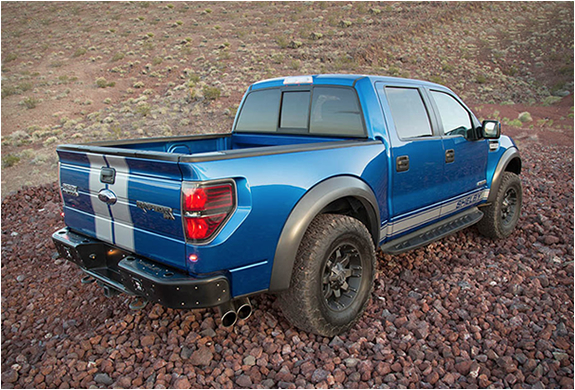 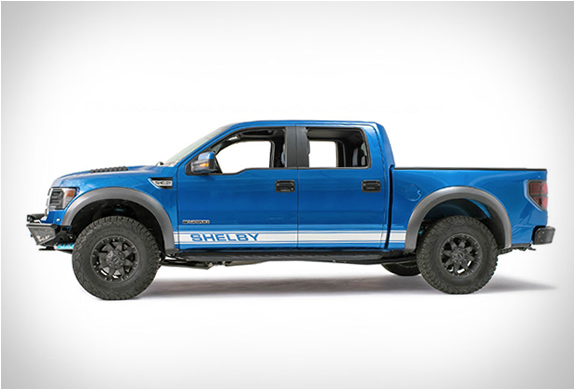 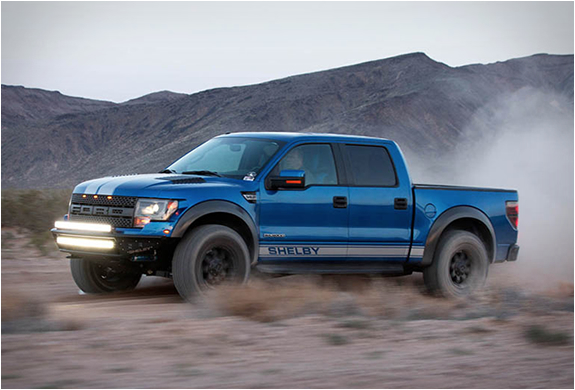 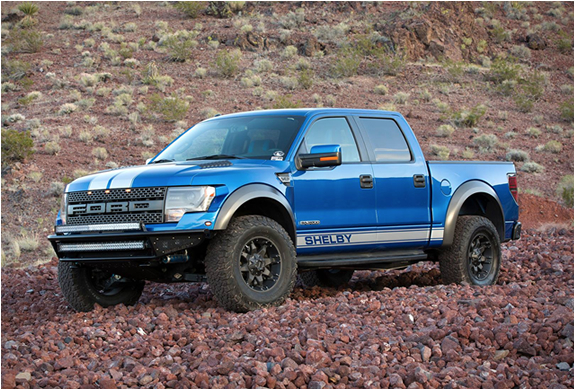 Shelby American have got their hands on a Ford Raptor and tuned it to perfection, taking the trucks performance to even greater heights. 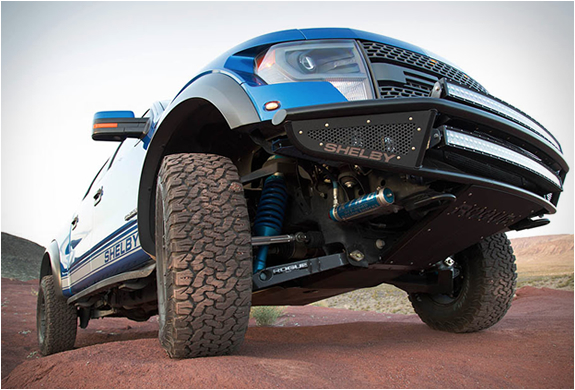 The "Baja 700" Raptor is a 700 horsepower beast based on the last generation SVT Raptor, it has been fitted with a Whipple supercharger atop the impressive 6.2-liter V-8 engine, along with bigger throttle bodies and injectors, a bigger heat exchanger, competition designed suspension, optional Rogue Racing front and rear bumpers, 18" custom wheels, and a thunderous Borla exhaust system. 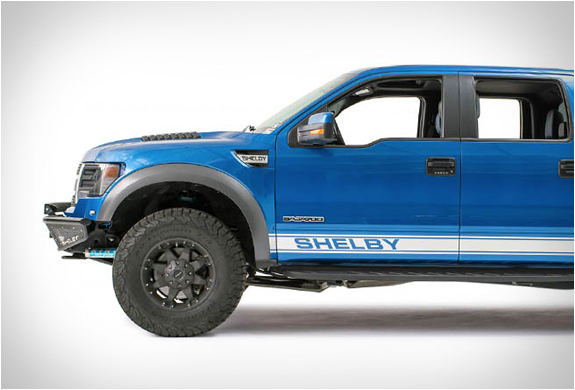 Naturally, its got the requisite Shelby striping and badging to go with it all, along with a skid plate and a reworked interior by Katzkin, plus a three-gauge dashboard pod. 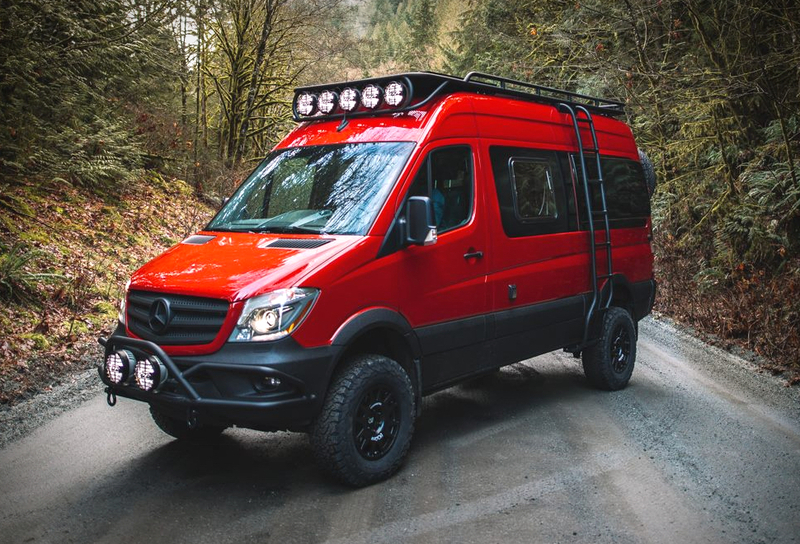 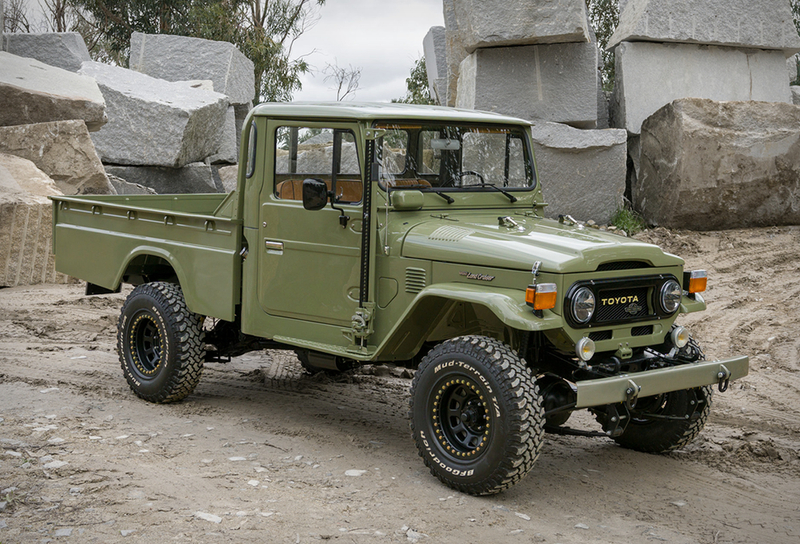 Just 50 examples of the custom Baja 700 will be offered for $45,000, but you have to supply the base truck yourself.